Facepalm: YouTube is updating its policies in an attempt to stop people performing dangerous and potentially lethal challenges and pranks. The change follows the rise in popularity of the Bird Box challenge, which involves walking around, or even driving, while blindfolded. “We need to make sure what’s funny doesn’t cross the line into also being harmful or dangerous. We’ve updated our external guidelines to make it clear that we prohibit challenges presenting a risk of serious danger or death, and pranks that make victims believe they’re in serious physical danger, or cause children to experience severe emotional distress,” explains the service’s guidelines. YouTube says there will be a two-month grace period to allow channel owners to review the updates and make changes to their content. Any violations will still be removed, but channels won’t receive a strike against them during this time. Additionally, channels that violate YouTube policies with video thumbnails or external web links will now receive strikes. Any that get three in 90 days will lose their accounts. 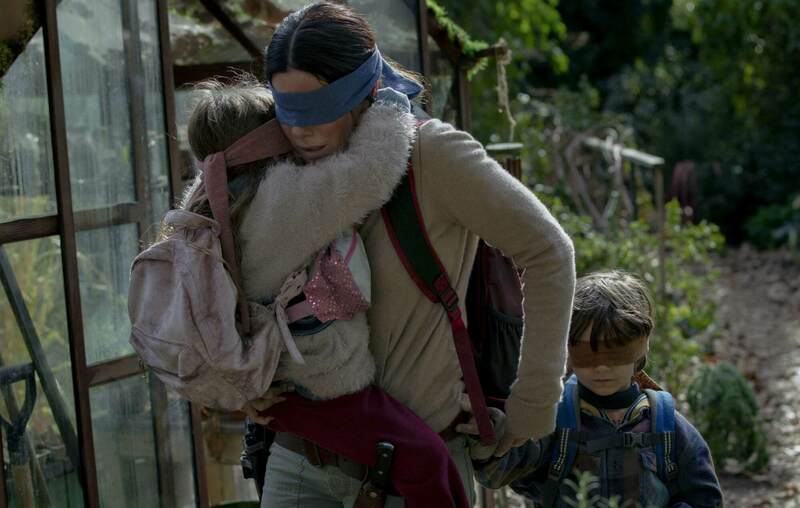 Bird Box, the Netflix horror starring Sandra Bullock, brought in 45 million viewers during its first week alone. The story involves creatures who show people visions that cause them to commit suicide. The only way to avoid this fate is to avoid looking, which is where the blindfolds come in. With so many people keen to copy the characters in the movie—for some reason—Netflix was forced to put out a “PLEASE DO NOT HURT YOURSELVES WITH THIS BIRD BOX CHALLENGE” Tweet. But a 17-year-old girl from Utah didn’t listen, crashing a car she was driving while blindfolded. This isn’t the first time YouTube has had to remove video challenges in which people could harm themselves. At the start of 2018, YouTube warned channels to stop sharing content showing people eating Tide Pods. Another viral challenge from last year was the “Kiki Challenge,” which involved getting out of a moving vehicle and dancing alongside it to Drake’s “In my feelings” track.